Clarkson GA , White Wolf, 1st, 1995, Book: Very Good, Dust Jacket: Very Good, 295 pages, hardcover in a bright dust jacket. NY, TOR, 1st, 1984, Book: Very Good, Dust Jacket: Good, Hardcover, 696 pages. Dust jacket with edgeweaar, tear/small hole to spine. Previous owner's embossed stamp to front fly leaf. NY, Bantam Books, 1st, 1987, Book: Very Good, Dust Jacket: Very Good, Hardcover, 326 pages, very good in a bright dust jacket. Hardcover. New York, 1st, 1986, Book: Very Good, Dust Jacket: Very Good, 319 pages. Previous price sticker on rear cover. Else very good. Hardcover. New York, Berkley Publishing Corporation, 1st, 1975, Book: Very Good, Dust Jacket: Very Good, 217 pages. Hardcover. First edition. Gilt title on spine. A bit of chipping to top of spine. Light wear to dust jacket and pages lightly yellowed due to age. Otherwise, clean inside and in good shape. Science fiction tale based 100,000 years in the future. London, Macmillan, 1st paperback edition, 2001, Book: Very Good, Dust Jacket: Very Good, 634 pages, hardcover like new in a bright dust jacket. Hardcover. London, Orbit, 1st, 1998, Book: Very Good, Dust Jacket: Very Good, Hardcover, 240 pages, like new in a bright, unclipped dust jacket. SIGNED BY AUTHOR on title page. Paperback. Philadelphia PA, Terminus Publishing, wraps, 1988, Book: Very Good, Dust Jacket: None, Hardcover, 130 pages. Special Avram Davidson Issue. 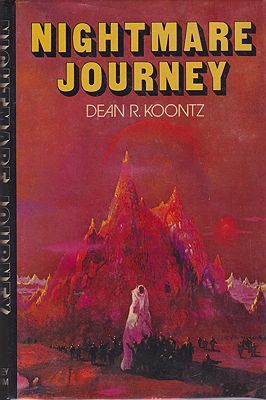 Color cover art and inside illustrations by Hank Jankus. The softcover is bound in red cloth covers with gilt lettering. London, Orbit, 1st, 2001, Book: Very Good, Dust Jacket: Very Good, 292 pages, hardcover like new in dust jacket. London, Hodder & Stoughton, 1st UK, 1998, Book: Very Good, Dust Jacket: Very Good, Hardcover, 516 pages, like new in a bright dust jacket. Hardcover. NY, Ace Books, 1st, 1991, Book: Very Good, Dust Jacket: Very Good, Hardcover, 360 pages, very good in a bright, unclipped dust jacket. Hardcover. London, Jonathan Cape, 1st, 1926, Book: Good, Dust Jacket: None, 224 pages. Green boards with gilt title to spine and extensive sun fading. Binding cracked at pages 80 and 112. Slight foxing to all edges. Some pencil markings throughout. Article glued to rear endpapers. Overall, a tight copy. NY, William Morrow, 1st, 1983, Book: Very Good, Dust Jacket: Very Good, 453 pages, hardcover in a bright, unclipped dust jacket. Previous owner's embossed stamp on front fly leaf. NY, Doubleday, Book Club Ed., 1979, Book: Very Good, Dust Jacket: Very Good, Hardcover, 526 pages, very good in a dust jacket with light fade to spine. Contains Pebble in the Sky, The End of Eternity and Earth Is Room Enough. Previous owner's signature and embossed stamp on front flylesf. NY, Avon Books, 1st, 1989, Book: Very Good, Dust Jacket: Very Good, Hardcover, 191 pages, in a bright, unclipped dust jacket. Open roughly at half title page otherwise very good. Hardcover. Neuilly-Sur-Seine, Dargaud Editeur, 1st, 1973, Book: Very Good, Dust Jacket: None, 48 pages. Hardcover. Color illustrations throughout. Decorated covers and endpapers. French comic book/graphic novel. Cover slightly splayed and yellowed with age. Pages lightly yellow, but clean otherwise. In good shape. Softcover. London, Gollancz, Reprint UK, 2002, Book: Very Good, Dust Jacket: None, 252 pages. Paperback edition with bright yellow covers. NY, St. Martin's, 1st hardcover, 1987, Book: Very Good, Dust Jacket: Very Good, Hardcover, 375 pages, in a bright, unclipped dust jacket. Previous owner's embossed stamp on front flyleaf. NY, Walker Books, 1st, 1986, Book: Very Good, Dust Jacket: Very Good, Hardcover, 235 pages, very good in a unclipped dust jacket. Hardcover. New York, Ballantine Books, 1st, 1978, Book: Very Good, Dust Jacket: Good, 76 pages. Black cloth. Black pictorial dj w/ edgewear and a couple small tape-repaired rips. NY, Knopf, 1st, 1992, Book: Very Good, Dust Jacket: Very Good, 464 pages, hardcover like new in a bright dust jacket. NY, TOR, 1st, 1995, Book: Very Good, Dust Jacket: Very Good, Hardcover, 381 pages, in a bright, unclipped dust jacket. Hardcover. Huntington Woods, MI, Phantasia Press, 1st, 1982, Book: Very Good, Dust Jacket: None, Hardcover, 332 pages, very good in a bright, unclipped dust jacket. Foreword by Stephen King. Hardcover. New York, 1st thus, March 2, 1994, Book: Very Good, Dust Jacket: Very Good, 508 pages. Very good. Hardcover. New York, Byron Preiss Visual Publications, 1st, 1978, Book: Very Good, Dust Jacket: Good, Unpaginated, hardcover with dust jacket. An incredible full color odyssey into the stars, illustrated by Howard V. Chaykin, illustrator of "Star Wars." Moderate rubbing and edgewear to dust jacket, most chipping is to corner edges, rear panel rubbed. Dust jacket housed in plastic protected sleeve. Slight age toning to text block edge. Half-inch stamping to front flyleaf. Otherwise, unmarked. Scarce. A tight copy. London, Macmillan, 1st paperback edition, 2005, Book: Very Good, Dust Jacket: Very Good, 949 pages, hardcover like new in a bright dust jacket. Hardcover. NY, Dial Press/Quantum, 1st, 1978, Book: Very Good, Dust Jacket: Very Good, Hardcover, 414 pages, very good in a bright, unclipped dust jacket. INSCRIBED BY DICKSON on title page. Previous owner's signature on front fly leaf. NY , Bantam Books, 1st, 1986, Book: Very Good, Dust Jacket: Good, 398 pages, hardcover very good in a dust jacket with light edgewear. Previous owner's embossed stamp on front fly leaf. West Kingston, RI, Donald Grant, 1st Ltd. Ed., 1981, Book: Very Good, Dust Jacket: Very Good, Hardcover, 142 pages, In a bright, unclipped dust jacket. 6 color plates by David A. Cherry. Limited to 1,000 copies SIGNED BY CHERRYH AND CHERRY. Previous owner's embossed stamp on half title page. Hardcover. NY, St. Martin's, 1st, 1977, Book: Very Good, Dust Jacket: Very Good, Hardcover, 184 pages, with bright, unclipped dust jacket. INSCRIBED BY HALDEMAN on title page, dated 1980. Previous owner's signature on front flyleaf. NY, Viking, 1st , 1998, Book: Very Good, Dust Jacket: Very Good, Hardcover, 431 pages, in a bright, unclipped dust jacket. Hardcover. NY, Warner Books, BC Ed., 1988, Book: Very Good, Dust Jacket: Very Good, Hardcover, 339 pages, very good in a bright, unclipped dust jacket. The sequel to Eon. Hardcover. London, Hodder & Stoughton, 1st Uk, Book: Very Good, Dust Jacket: Very Good, 433 pages. Clean, tight copy. Hardcover. NY, Del Rey/Ballantine, 1st, 1985, Book: Very Good, Dust Jacket: Very Good, 495 pages,, hardcover very good in a bright dust jacket. Previous owner's embossed stamp on half title page. NY, Doubleday, 1st Ed., 1979, Book: Very Good, Dust Jacket: Very Good, Hardcover, 269 pages, very good in a dust jacket with fade to spine. Previous owner's embossed stamp on front flylesf. Hardcover. NY, Viking, 1st , 1992, Book: Very Good, Dust Jacket: Very Good, Hardcover, 332 pages, in a bright, unclipped dust jacket. Softcover. New York, Bantam Books, 1st, 1975, Book: Very Good, Dust Jacket: None, Softcover, 214 pages, Q8765, $1.25 price. Mild edgewear, clean. Baltimore, MD, Cemetery Dance Pub., 1st, 2001, Book: Very Good, Dust Jacket: Very Good, 223 pages. Black & white photos by Beth Gwinn. Introduction by Clive Barker. NY, Berkley/Putnam's, 1st hardcover, 1980, Book: Very Good, Dust Jacket: Very Good, Hardcover, 240 pages, in a bright, unclipped dust jacket. Previous owner's signature on front flyleaf. Also INSCRIBED BY LONGYEAR on same page. Hardcover. NY, Arbor House, 2nd, 1985, Book: Very Good, Dust Jacket: Very Good, Hardcover, 262 pages, very good in a bright, unclipped dust jacket with light edgewear, corner chip. Previous owner's embossed stamp on front fly leaf. Hardcover. New York, Doubleday, 1st, 1981, Book: Very Good, Dust Jacket: Very Good, 244 pages. Dust jacket shows light wear. Clean, tight copy. NY, Del Rey/Ballantine, 1st, 1983, Book: Very Good, Dust Jacket: Very Good, 185 pages, hardcover. Very good in a bright, unclipped dust jacket. NY, Dial Press, 1st, 1980, Book: Very Good, Dust Jacket: Very Good, Hardcover, 338 pages, in a lightly edgeworn dust jacket. Previous owner's signature and embossed stamp on front flyleaf. Faint foxing to edges. 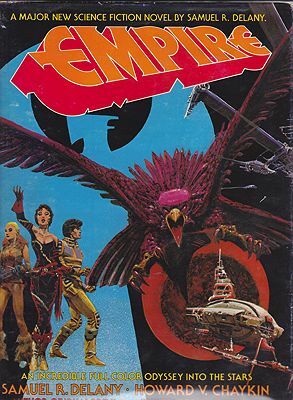 NY, Timescape Books, 1st, 1983, Book: Very Good, Dust Jacket: Very Good, Hardcover, 215 pages, very good in a bright dust jacket. Hardcover. New York, 1st, August 1992, Book: Very Good, Dust Jacket: Very Good, 223 pages. A very clean, tight copy. Hardcover. New York, Harper & Row, 1st, 1977, Book: Very Good, Dust Jacket: Very Good, 183 pages. Hardcover with price-clipped dust jacket. Light staining to fore edge, otherwise, clean, unmarked copy with only minor wear to dust jacket. NY, Holt Rinehart Winston, 1st, 1982, Book: Very Good, Dust Jacket: Very Good, 368 pages, hardcover in a bright, unclipped dust jacket. NY, Dial Press, 1st, 1980, Book: Very Good, Dust Jacket: Very Good, 536 pages, hardcover very good in a bright dust jacket. INSCRIBED BY VINGE on title page. Huga Award Winner for 1981. Previous owner's signature on front fly leaf. Hardcover. Newark NJ, Wildside Press, Ltd. Ed., 1991, Book: Very Good, Dust Jacket: None, Hardcover, 362 pages, black boards with white lettering and design. SIGNED BY RODGERS, #98 of 250 copies. Very good. No dust jacket issued.